Arista Corporation introduces ARP-3800AP-E01 series; this latest addition is a range of multi-touch panel PCs with Projected Capacitive Touch Screen. Today’s industrial application touch technology has revolutionized the operating concepts for industrial applications. The multi touch technology has the potential to make machine operation more intuitive, faster and safer. 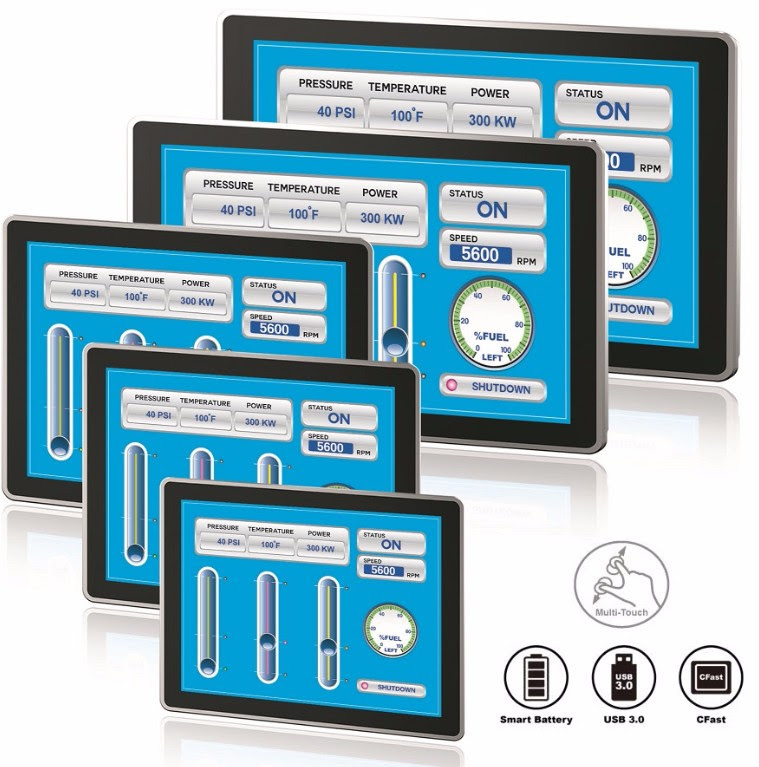 ARP-3800AP-E01 multi-touch panel PCs open up new dimensions for innovative HMI design and eliminate tedious tasks of navigating menu after menu of push buttons. With ARP-3800AP-E01 users can simply swipe their finger across the screen just like we use smart phones and tablets. Arista corporation is a pioneer in building rock solid industrial automation solutions, in addition to the existing industrial displays and computers, ARP-3800AP-E01 series is available in panel mount with power requirements of 110VAC/0.4A,24VDC/1.8. ARP-3800AP-E01 offers wide selection of LCD display sizes and resolution, ranging from 15″ / 1024 x 768, 17″, 19″ / 1280 x 1024, to 21.5″, 24″ Wide Screen 16:9 aspect ratio FHD 1920 x 1080 resolution. The Projected Capacitive Touch Screen on ARP-3800AP-E01 is a solid glass surface which makes it easy to clean and offers optimal visibility. The feature of battery charging technology is integrated in all units of ARP-3800AP-E01 series, hence there is no hassle in the case of an power outrage. Since the external battery can act as a UPS and trigger the unit to shut down windows operating system at the time power outage occurred. The smart battery can be used as backup power to ensure an uninterrupted operation when power outage occurred. Founded in 1994, ARISTA has always been a service-centric company in the development and manufactuing of high-quality, high-performance industrial computing platforms for industrial automation applications. We work very closely with our partners to help provide complete solutions for a wide array of applications across a diverse range of industries.